CarRentals is a leader in using technology to drive business results. Our mission is to power reliable, trustworthy and scalable services, enabling our eCommerce site and competitive advantage. We use a blend of open source, custom development, and commercial technologies to build, deliver, and operate a global scale platform that support our 24/7 business. Our ecosystem includes cloud technologies, large scale infrastructure, and micro-services architecture. As a Senior Engineer on the core platform, you will create solutions related to the heart of our car rental system, including processing searches, booking transactions, and connecting to a vast array of suppliers for inventory. You will be a key contributor in transforming the existing PHP application into a suite of cloud-hosted microservices, optimizing the platform, and laying the groundwork for us to scale to 10x traffic. This role will require you to have demonstrated knowledge of microservice architecture, AWS services, and operational standards to maintain a 24/7 e-commerce platform. You will work in collaboration with partners including Product Managers, Supply Managers, and Marketing to help design, develop, and deliver projects. You will mentor others, and help promote the broader tech organization goals. Are you passionate about building micro-services technology needed to drive a $100 million dollar business? Do you love building creative, high-scale services using a diverse set of state of the art technologies? We are looking for a Senior Software Development Engineer with a real passion for backend services. We are responsible for building the processing and orchestration services that powers our eCommerce platform. In this role, you will build & support CarRentals cloud-based micro-services platform. You will collaborate and partner with engineers, product managers, and business partners to solve big challenges in the ecosystem. If you have engineering, development, and testing skills on a micro-services platform and you are awesome at programming in Java or similar languages, then this role is for you. If collaboration, respect, ownership, recognition, trust, test & learn speak to you, and the thought of being part of a growing team excites you, then we definitely want to talk to you. Familiarity with Spring Framework, MVC, REST web services, TestRail, etc. 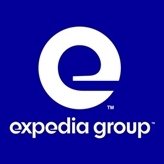 Sr. Software Development Engineer at Expedia, Inc.